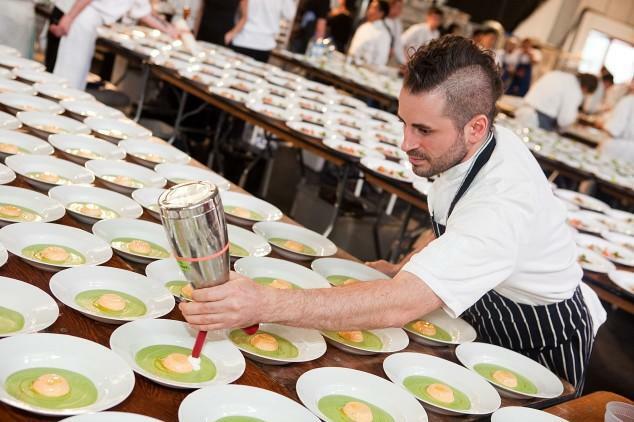 Who Are the Top 50 Social Chefs of 2013-2014? It turns out many chefs love their smartphones just as much as they love their craft. Now, more than ever before, chefs are using social media to express themselves to thousands, and sometimes tens of thousands, of fans and followers. Whether posting photos of #foodporn to Instagram, promoting their latest restaurant venture on Twitter or providing Facebook fans with step-by-step recipes, chefs are increasingly social beings. Through our proprietary Restaurant Social Media Index, and in conjunction with DigitalCoCo, we evaluated 8,937 chefs across the country who engaged in a total of 23.2 million conversations in 2013. That’s an average of more than 2,500 conversations for each chef over the last year! Because social media embraces brevity, we narrowed down the list to the Top 50 Social Chefs from coast to coast. The four factors looked at for scoring purposes include engagement, sentiment, influence, and location-based action data to determine the list. If you think all the chefs are in New York and Los Angeles, you’ve got more than a few surprises coming to you. As quirky as she is talented, this female Top Chef winner (Season 4) chats up a storm on Twitter about recipes, promos and events, and even her favorite TV shows. From her Facebook and Twitter accounts, Izard links back to her well-maintained blog that features recipes, food photos, and an “Ask the Chef” comment section where Izard answers questions about her dishes. 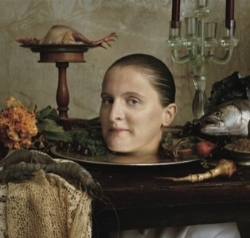 April Bloomfield is kind with her time on social media. The award-winning chef (including Michelin Stars at two of her restaurants) and star of PBS show “Mind of a Chef” takes to Twitter to acknowledge other chefs, thank her followers, and even respond one-on-one to recipe questions. Sharing glimpses of her food preparations and her life, Bloomfield was just listed as one of Buzzfeed’s 22 Instagram Accounts Food Lovers Should Follow in 2014. This highly acclaimed San Francisco chef just earned a second Michelin star for his restaurant, SPQR. When it comes to social media, Accarrinno’s tweets are almost as neatly constructed as his dishes. Check out Accarrinno’s Instagram and Twitter feeds to ﬁnd listings of ingredients, shout-outs to diners and fellow chefs across the country, and of course, plenty of drool-inducing photo of expertly constructed dishes, like this fantastic fall compilation of chili honey fried turkey, red cabbage puree and pear. • Which city has the best food sentiment? • Who’s more social: male or female chefs? • What is the hottest city for chefs right now? Get all the social chef scoop you need by purchasing the Top Social Chefs report right here.